When I worked as a Pastry Chef Assistant, I had the pleasure of making ice cream and sorbet bases daily. And when I say pleasure, I mean it. 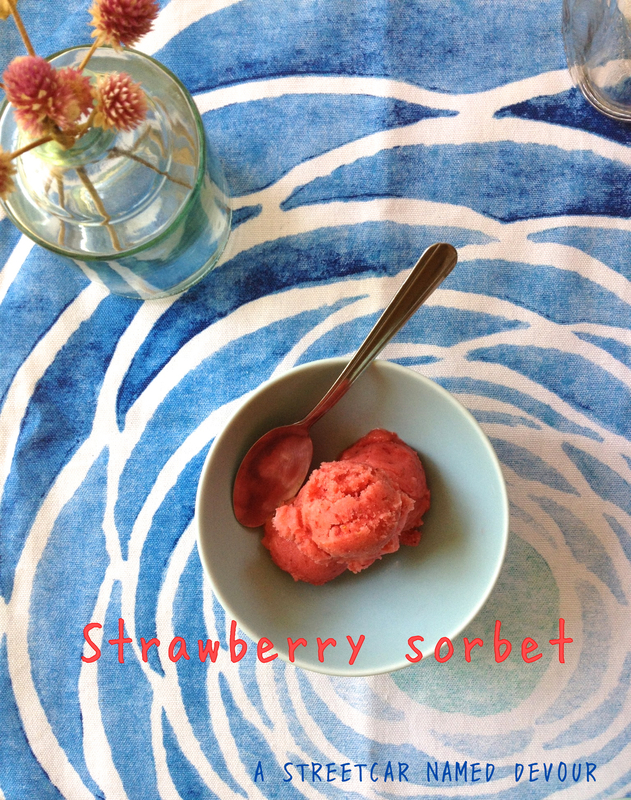 Ice cream and sorbets are a fairly easy sweet treat to make at home. And quite honestly, with all the ingredients listed on many store-bought ice creams–preservatives, additives, and chemicals one can’t even pronounce–it’s actually healthier (and perhaps safer) to consume those of the homemade variety. Wouldn’t you agree? 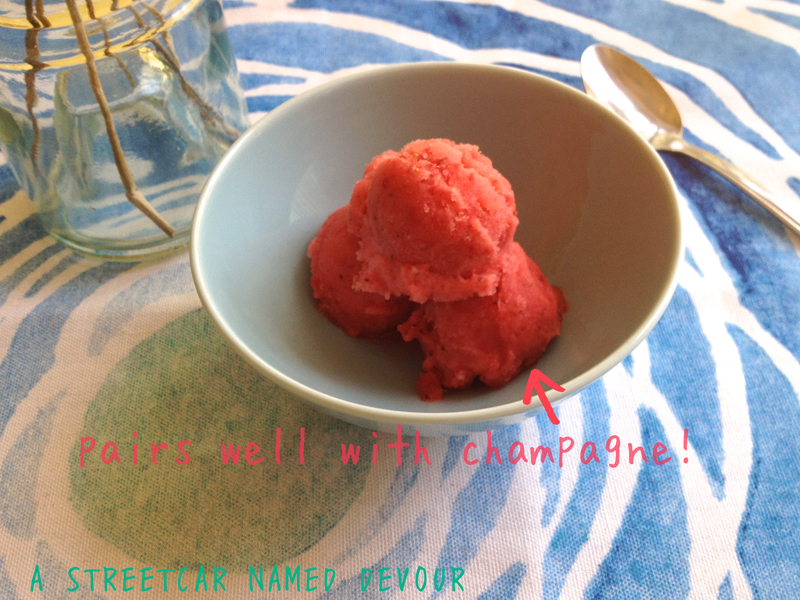 Now in season, strawberries are ideal for this warm weather, so sorbet is in order! Ooh, and for a cool (alcoholic) refresher, you can add a scoop of the sorbet to a flute of sparkling wine (Prosecco works well) for a Bellini-style cocktail. 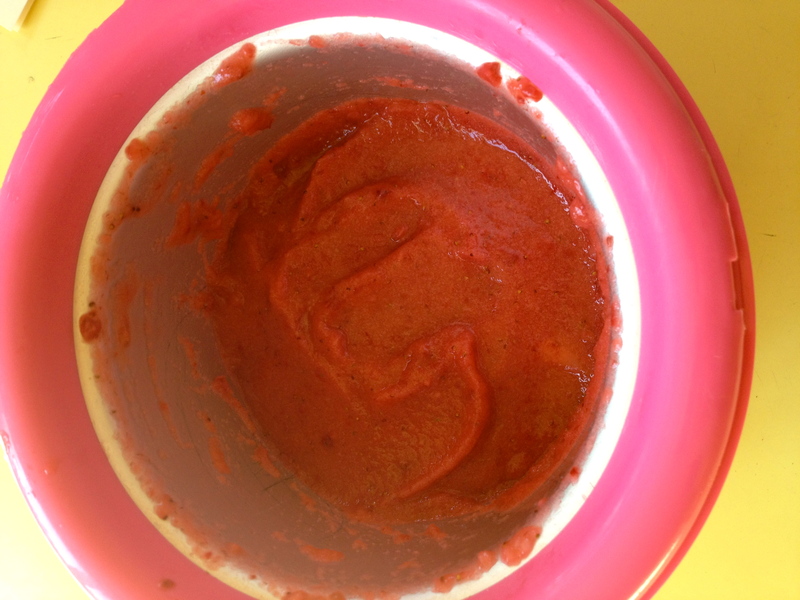 Warning: Consumption of strawberries before making sorbet is often unavoidable! Place the water and sugar into a small saucepan stirring to just combine. Heat over medium-high and boil until the sugar is completely dissolved. You’re basically making a simple syrup, so heat the sugar water till it’s a slightly syrupy consistency. Turn off the heat and transfer the simple syrup into a small bowl and into the refrigerator to cool. 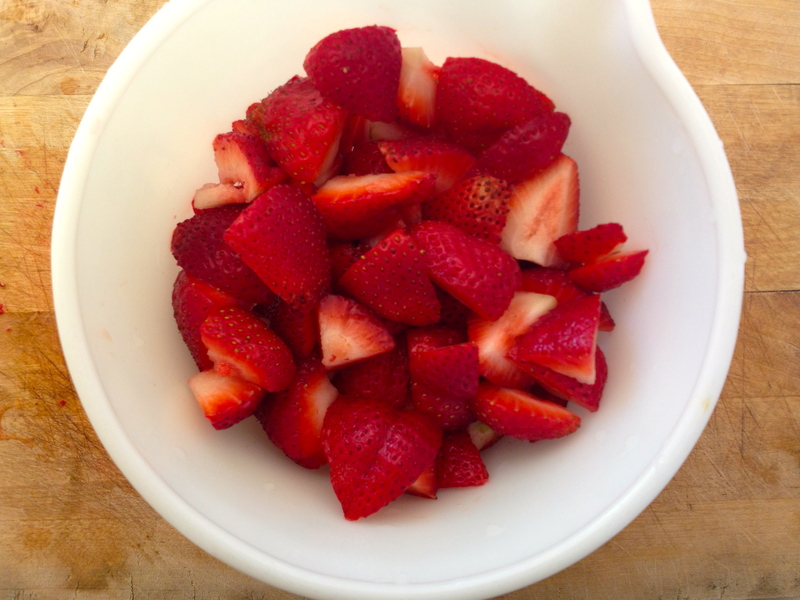 While the simple syrup cools down, wash the strawberries and cut off the stems. Cut the strawberries into quarters. 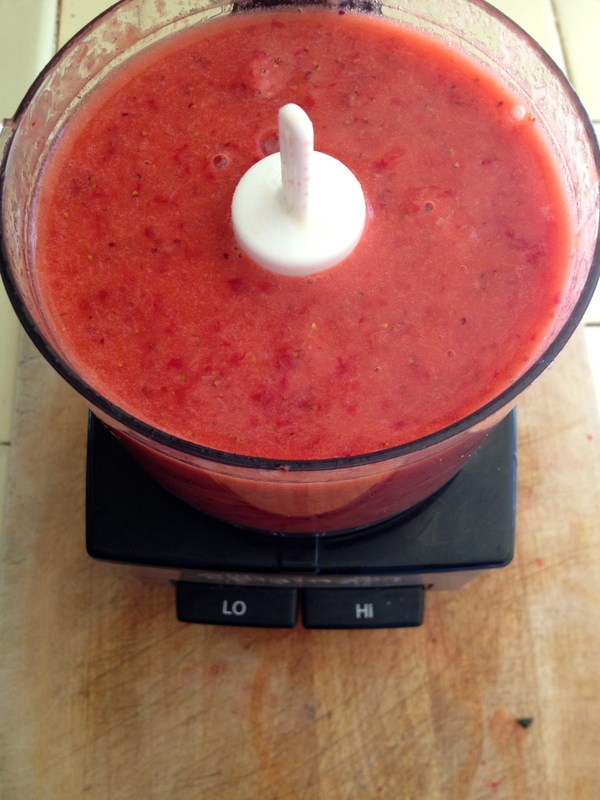 Place strawberries into a food processor or blender and blend till the fruit is completely broken down, adding a fresh squeeze of lemon juice. 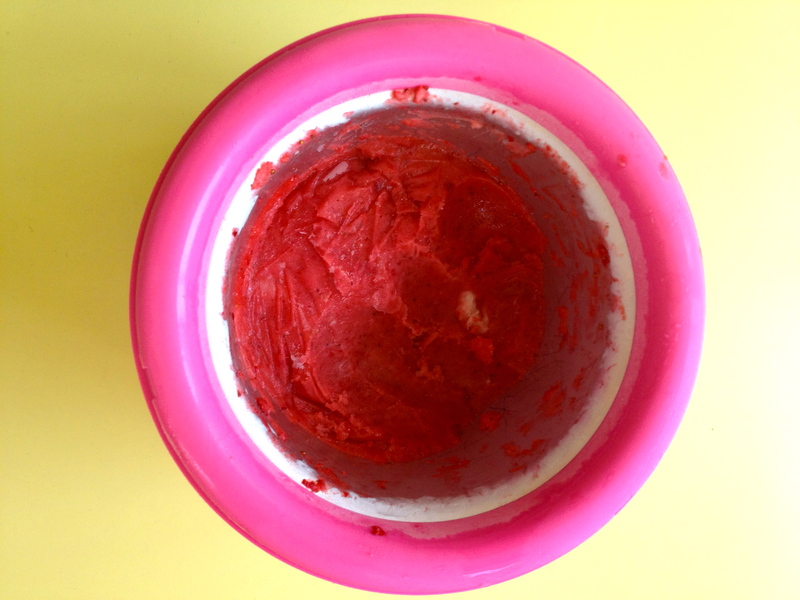 Once the mixture has been churned completely, place a sheet of plastic wrap just pressing the top of the sorbet to avoid getting ice crystals while freezing. Place into your freezer for at least 4 hours or until firm. I cannot even tell you how amazing this recipe looks. I wish I had strawberries so I could make it now. Thanks! Thank you! It’s a super easy and equally delicious recipe to make at home. Cheers!